The prerequisite installations for MacPorts are Apple's Xcode, formerly known as Developer Tools, and the X11 windows environment. If you have a newer Mac, you should already have an Xcode install disk. If not, you can get Xcode from Apple's Developer Connection web site. 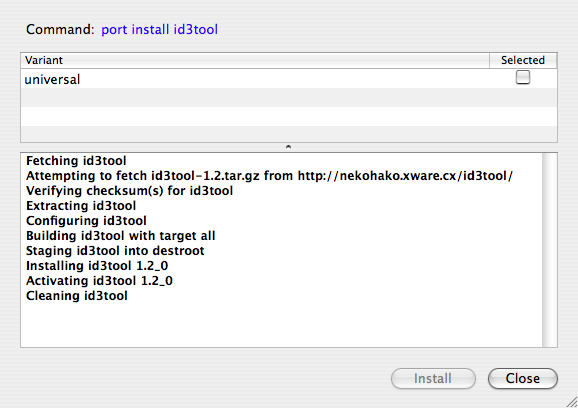 Xcode installs several developer tools, including gcc, the GNU C Compiler, and GNU Make. These tools handle building Unix packages from source and MacPorts won't work without them. X11 can be downloaded from Apple's web site. After installing both, download MacPorts, unpack, and run the installer. If you plan on running MacPorts installed packages with X11, review the MacPorts installation instructions. With MacPorts installed and configured, open a terminal window and we'll get busy installing packages. 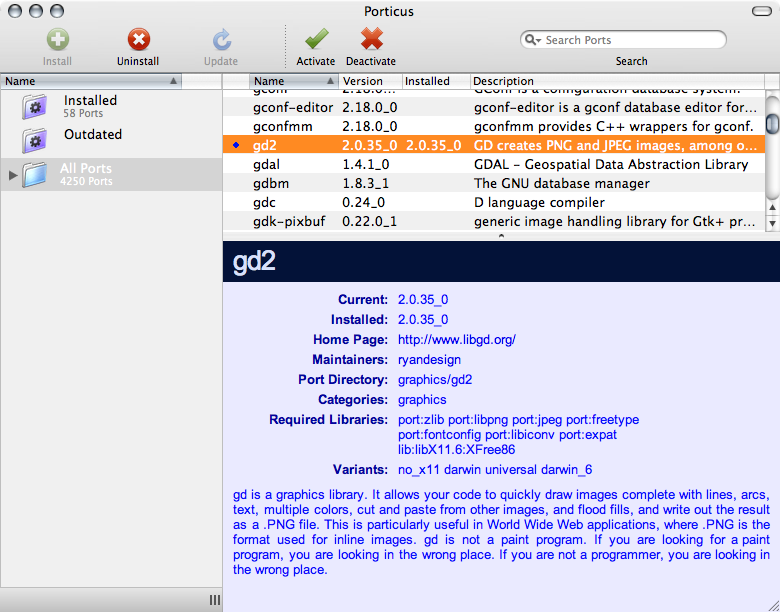 MacPorts is run from the command line by entering 'port' followed by a command and options. Below are the most common MacPort command; note that installs and updates are run with sudo. Installation is simple and the great thing about MacPorts is that if a package is dependent on other packages, MacPorts installs the dependent packages, too; no questions asked! The same is true when upgrading MacPorts managed packages. How simple is that?! Here's sample output from an install of MySQL 5. This example's output is pretty short. Most packages display hundreds of lines of output. Fink users have had the Fink Commander GUI to manage their installs for several years. Finally, a few GUIs have emerged for MacPorts. Porticus is the most recent GUI released and is in beta at the writing of this post. Porticus is written in Cocoa, so it's pretty fast. Although the beta release has a few rough edges, it's worked really well for me and its simple interface made it easy to quickly update my LAMP development server. In the screenshot above, blue items are installed and up-to-date, and items with updates available display in red. Select an item to view package details, including version, project URL, maintainer, dependencies, and description. Porticus also supports Growl notifications so you can start up a long install, work on something else, and see exactly when install is complete. I've read good things about Port Authority, another MacPorts GUI, but I wasn't willing to pay $20 for a license. Porticus, on the other hand, is currently a free download. Give MacPorts and Porticus a try. 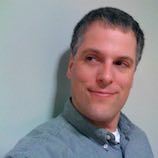 You won't need to hunt down package installers or pre-compiled binaries for Apache, PHP, and their dependencies again.